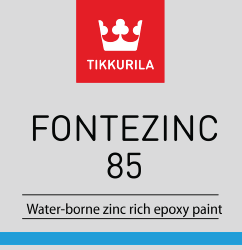 Fontezinc 85 Waterborne | Advanced Polymerics, Inc.
A two-component water-borne epoxy zinc primer. Used as high-performance anti-corrosive primer for steel surfaces. Recommended for bridges, framework, service platforms, conveyors and other steelwork, machinery and equipment where low VOC is required. 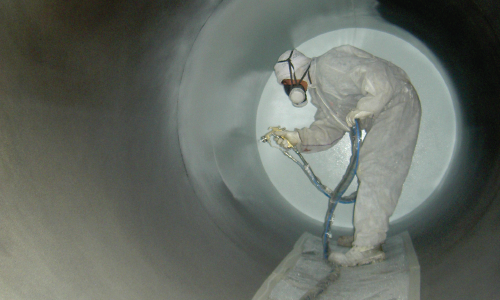 Coatings are a catch-all category which includes more widely-known conventional coatings. This does not mean that they are not highly sophisticated products that perform their respective functions very well. We pride ourselves on offering coating products that are among the highest performing on the market today. PLEASE NOTE! The colors displayed within this PDF have been produced electronically. 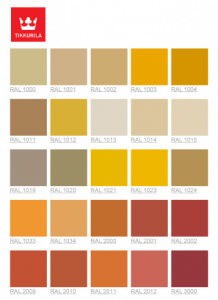 They are not an exact representation of real color models, as the finish of the material, its gloss and lighting, as well as many other factors, affect our perception of color. Always select the final color using standard color cards. Only those products marked on SDS as Temaspeed or Temaspeed Fonte are available in a full range of colors.